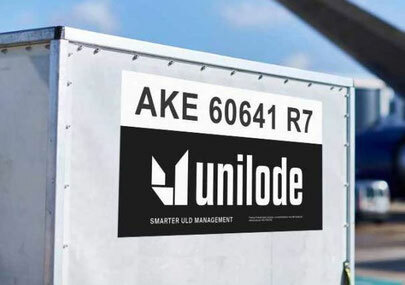 Zurich-based ULD management and repair specialist Unilode Aviation Solutions has announced that their ULD management agreement with AirAsia X has been extended for a further three-year period. Air Asia X is the long-haul arm of Air Asia and operates with a fleet of Airbus A330-300 aircraft. The carrier is said to have ordered a further 100 Airbus A330-900neo aircraft to cater for future expansion plans. Late last year it was announced that AirAsia X was looking at converting some of the A330-900neo’s into smaller A321LR versions. The airline which was originally known as FlyAsia Xpress, operates from its three hubs in Kuala Lumpur, Bangkok and Denpasar to 26 cities within Asia, India, Middle East and Australia as well as operating a service to Hawaii. The Santiago de Chile-headquartered carrier continues to expand their cargo services and has announced that LATAM Cargo which operates with a fleet of B767 freighters as well as feeding cargo to LATAM’s passenger fleet, will open a new direct service between Santiago and Chicago as of February 19th. The twice weekly B767F service to Chicago will be LATAM Cargo’s sixth destination in the United States. The carrier sees Chicago as being an important station in the U.S. because of its good connections to destinations in Asia, thus enabling LATAM Cargo to give clients a far better service. Chile has positioned itself as one of the dominant exporters of fresh salmon, much of which is destined for markets in the Far East. The new service will give salmon exporters a faster transit time via Chicago into the markets in Asia. The carrier also has almost 500 sqm of cold storage space at Chicago’s O’Hare airport and if necessary, this can be expanded at short notice. 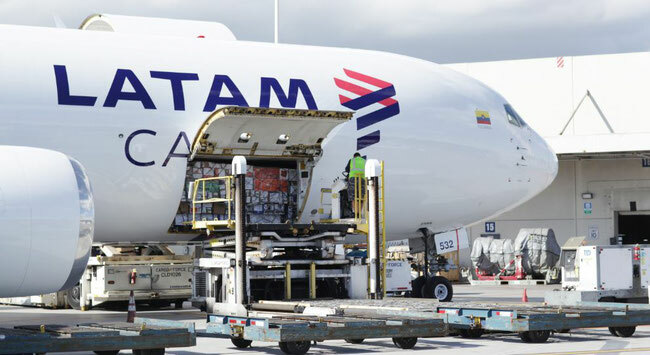 On the return leg the aircraft will operate via Miami which LATAM Cargo says will enable their customers in the Midwestern United States to reduce transit times for their shipments to Latin America by up to three days. 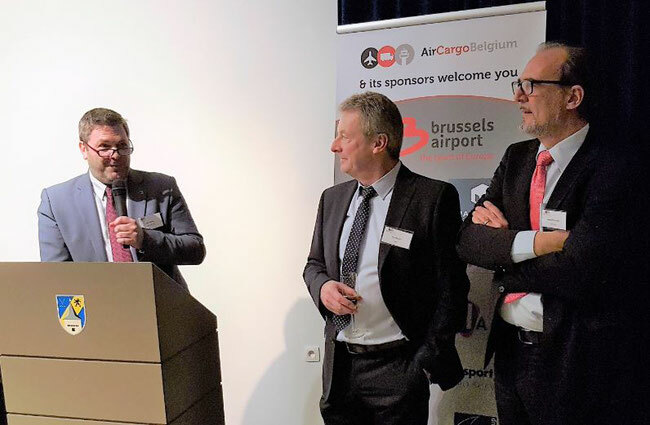 At Air Cargo Belgium’s New Year’s reception chairman Steven Polmans looked back on Brussels Airport 7.5% growth and the arrival of three new cargo carriers (LATAM, Turkish Airlines and Avianca). ACB will start its third year with some 150 members, all convinced of the benefits of the organisation. Mr Polmans also said that it is impossible to assess what 2019 will be like, what with Brexit, the on-going trade wars and (Belgian and European) elections. 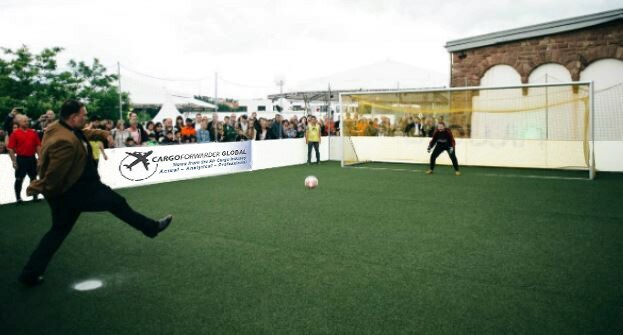 He advocated the local development of digital projects, which have a positive effect on bottom lines and margins. “A lot of airports around the world envy Brussels for having such a closely-knit airport community,” he concluded. SEA LIFE Trust, a charitable organisation, which is globally active in trying to preserve the world’s oceans and its marine life, will entrust Luxembourg-based all-cargo carrier, Cargolux with the transport of two precious beluga whales from China to Iceland in the Spring of this year. The two whales named Little Grey and Little White will make the 6,000 mile journey on the main deck of a Cargolux B747-400ERF freighter from Shanghai to Iceland where they will be transferred to a specially created large sanctuary at Heimaey which is located off the southern coast of Iceland. This is the world’s first open water sanctuary for beluga whales and it was chosen because it provides a natural sub-Arctic environment for the mammals. 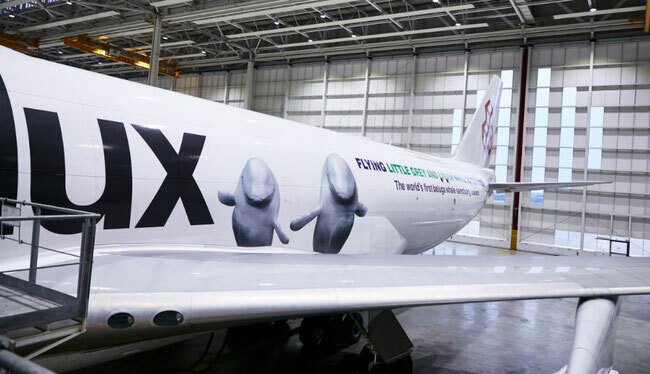 Cargolux which is an official transport partner for SEA LIFE Trust will sponsor the transport of the beluga whales and will work closely with Whale and Dolphin Conservation (WDC) and their team of specialists during the transport. Cargolux has been active for many years in environmental preservation and the fight against illegal animal trade. Brussels Airport has taken a further step in promoting their pharma corridor by joining with Hong Kong International Airport in setting up an airport-to-airport (A2A) corridor for temperature sensitive pharmaceuticals. This they say will be the first step in pioneering a global pharma corridor network. 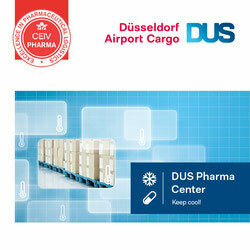 Both airports state that the transport of pharma shipments will be strictly carried out according to the present CEIV regulations and will only be transported by CEIV pharma-certified carriers. The new corridor is being set up in cooperation with Pharma.Aero, the Brussels-based organisation which was founded on an initiative by Brussels Airport and Miami Airport promotes cross-industry collaboration between pharma shippers and CEIV certified airports and airlines. 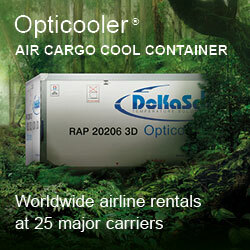 The aim is to offer shippers a seamless A2A temperature-controlled handling across the complete supply chain. In this respect Hong Kong Airport will add a further nineteen temperature-controlled cool dollies to their fleet which will be used for the transfer of pharma shipments to-and-from the aircraft. UK-based Hermes Cargo Management Systems has implemented the first phase of the Hermes 5 (H5) Cargo Management System (CMS) at Luxembourg Airport. The H5 system was prepared for LuxairCARGO which handles up to one million tons of air freight each year. Luxembourg Airport is the home base of Cargolux and an important location for the trucking of export and import cargo throughout Europe. In this respect Hermes has included advanced trucking functionalities into their H5 version of the CMS. It also includes features such as a new Customs Interface which has been developed to ensure faster cross-border customs clearance processes. Hermes state that a real-time tracking system and data analysis which is aimed at reducing backlogs and delays, has also been included. Copenhagen-based Scanpartners which is one of the leading GSSA’s in the Nordic region with offices in Helsinki, Oslo, Copenhagen and Stockholm, has announced that they have successfully gone live with the e-CARGOWARE Cargo Management Platform. The cloud-based platform which is already in use with many GSSAs and Handlers went into operation with Scanpartners on the 2nd of January. According to Scanpartners, the platform eliminates paper and conforms fully to IATA e-AWB specifications and is an easy and flexible tool for those who chose to use it. e-CARGOWARE was founded by Arun Singh and Ramesh Darbha with the aim of providing an easy to use, cost effective ERP cloud-based solution for air freight. They have in the meantime included functionalities to manage Cargo Airlines, Cargo Handlers and GSAs and claim that it is now being used by clients around the globe. Cargo throughput at Belgium’s Liege Airport increased considerably during 2018 compared to the previous year. Tonnages handled have steadily gone up since 2015. A total of 870,644 tons of air cargo passed through the airport. This represents an increase of 21,5% over 2017 when the tonnage recorded was 716,988 tons. Since 2015 tonnage has gone up by just over 33%. The airport management claim that they have now sped up their investment programme in order to gear themselves for further business. They state that a further 30,000 sqm of warehouse space will have been added by the end of 2020 and that they are searching for additional staff which could mean the addition of several hundred new jobs at the airport. Liege management also state that they expect a net result for 2018 in the region of €4 million.